Mental fatigue is a condition characterized by excessive mental tiredness. While most people have experienced symptoms of mental fatigue from time to time, true mental fatigue can potentially lead to serious problems, including reduced productivity, poor job performance and impaired physical functioning. Learning to recognize the symptoms of mental fatigue can help prevent unnecessary complications. Mental fatigue may manifest in different ways for each person. Difficulty concentrating and solving problems, anxiety, irritability with co-workers and loss of passion for work are potential symptoms of mental fatigue. Other symptoms include sleeplessness and confusion or frustration triggered by problem-solving tasks like simple math. While there is no set time frame for mental fatigue, symptoms may persist indefinitely if not addressed early on. Generally, mental fatigue is associated with symptoms that get worse over time, though it may be transient in some cases. External factors such as career stress and academic pressure can greatly influence the duration of mental fatigue. The effects of mental fatigue can take a toll on many aspects of a person's life. Poor work performance and reduced productivity can result in bad grades or job loss, while irritability and low mood may lead to conflict with loved ones, further aggravating the situation. In some cases, mental fatigue may even impair a person's ability to perform physical tasks. According to Psych Central, mental fatigue alters the brain's perception of effort, resulting in reduced capacity for physical exertion. This phenomenon is thought to be caused by reductions in dopamine—a neurotransmitter associated with motivation and performance. Left untreated, mental fatigue may continue to impair physical performance until small tasks such as climbing stairs or riding a bicycle become difficult. Exercise is an excellent fatigue remedy with multiple health benefits. According to Science Daily, low-intensity exercise can decrease fatigue levels by up to 65 percent while boosting energy and motivation. Sleep and relaxation are necessary to truly overcome mental fatigue. While a vacation isn't always in the cards, periodic breaks of five to ten minutes can help rejuvenate the mind while performing mentally taxing duties. 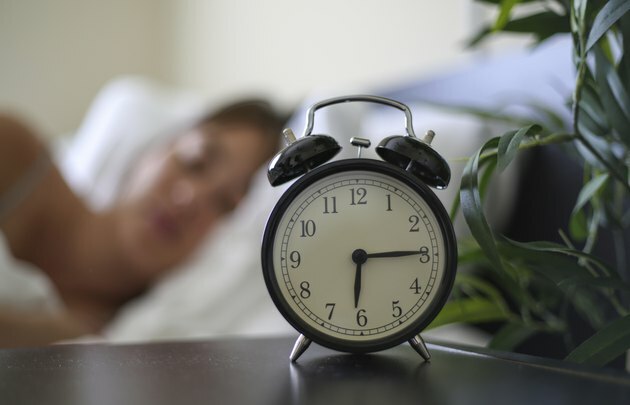 Aim for eight hours of quality sleep each night, and talk to your doctor if you frequently have trouble sleeping. Setting aside one hour to relax before bedtime can help reduce stress and prepare the mind for sleep. In rare instances, symptoms of mental fatigue can signal a serious medical emergency. If you experience fatigue accompanied by sudden confusion, extreme muscle weakness, dizziness or impaired speech, seek immediate medical attention.